Life is for sharing. That is at once our slogan and our aim. It gets right to the heart of Deutsche Telekom’s brand promise. In combination with the distinctive "T," with our magenta brand color and with our catchy jingle, it provides orientation in a digital world that is becoming ever more complex. Our slogan and our aim: Life is for sharing. We give our customers access to the great many and diverse opportunities this world provides. We accompany our customers, as a trustworthy partner – and ensure that no one gets left behind. That is what the Deutsche Telekom brand stands for. In Germany, our home market, and in about 50 countries around the world. We develop and build digital arteries – the best, fastest and most reliable networks – for the society of tomorrow. And we offer innovative products and services for fixed networks, mobile communications, Internet life and TV entertainment. We provide globally operating business customers with forward-looking IT solutions, from one source. But great products for (tele-) communication are not ends in themselves. What really counts is being able to share ideas, opinions and special moments. And being able to share them at any time we choose and wherever we happen to be. Sharing enriches our life. Thanks to digitalization, boundaries of time and place are becoming easier and easier to overcome, for sharing. This has fundamentally changed the way we communicate. Over the past few years, the idea of sharing has had an enormous impact in business and in our society as a whole. In our brand positioning, we were very early in understanding that idea's importance. Today, the sharing economy is a global phenomenon, and we see just how right our approach was. Our brand promise, “life is for sharing,” homes on this universal idea. With it, we highlight shared experience. In other words, we highlight something of great relevance for each and every one of us. Consequently, our brand is equally relevant for all target groups, whether young or old, and it retains its relevance across all boundaries. With this focus, we have decisively improved and refined our Deutsche Telekom brand. In 1995, when the company was founded, we were still focusing primarily on technology and on international growth. Then, we added new areas, as we expanded our range of products and services, and began operating in more and more countries. In the process, we created numerous brands, for seemingly numerous identities, including national and international business units, and with seemingly numerous different focuses, including products, services and rates. Our brand's overall image became increasingly diffuse as a result. 1994 logo following our emergence from Deutsche Bundespost; 1995 logo for the founding of Deutsche Telekom AG; the 2007 "T," our first umbrella brand (initially, with a line of digits that stood for data transmission); the streamlined logo that we introduced in 2013 as our international umbrella. At the same time, convergence was increasing. Technologies that used to be separate were growing together. This also called for a new, integrated approach. For this reason, in 2007 we began to streamline our fragmented brand presence and to focus it on a simpler common denominator. Everything was consolidated and unified under a single umbrella, the "T."
Needless to say, this process was not just about visual aspects. It was just as much about realigning our company substantively. We introduced "life is for sharing," and our focus shifted. Since then, our brand has been characterized less in terms of solutions to technical challenges and more in terms of overarching value. Deutsche Telekom enables people to share things they have experienced – that is our promise. This positioning has proven to be ideal. For one thing, it does not hinder our ability to modify and adjust our trademarks and their use. For example, we have been able to use our brand color, magenta, even more boldly since our design relaunch in 2013. Along with the color magenta, our logo is also one of our most powerful signs. We have continued to improve it – and, in the process, have reduced it to its most important basic essence. For example, we have reduced its number of "digits," the small squares that frame our "T" logo. As a result, the "T" is now recognized throughout Europe as a strong sign for communication. In keeping with the way we have positioned our brand, we use true stories for our widest-reaching campaigns. They are stories about real people, and their real magic comes alive when they are shared. They present people such as Paul Potts, whose voice moves people to tears. Or such as Bob Carey, an American who came up with a very special way of showing his seriously ill wife how much he cared. He posted humorous, and moving, photos of himself, posing in a pink tutu, taken at locations around the world. We also bring our brand promise to life with our international brand communication. For example, we enabled 250 Katy Perry fans to take part in the shooting of her new video – and to share that unforgettable moment. Together with the musician Thomas D, we produced the project “Million Voices” – which involved an online choir with over 13,500 people. When Adel Tawil called on people to send him playlists of their favorite songs, for his song project "Unsre Lieder werden eins" ("Our songs will become one"), some 30,000 people used our platform to upload their lists. And in 2017, with the app "The Lenz," we brought real and virtual worlds together, by enabling fans to bring "Gorillaz," a successful – and virtual-only – band to life on their smartphones. With our “Game for Good” campaign, we have been assuming responsibility and showing just how important sharing – as in “Life is for Sharing” – can be. To date, some 3 million people have played the mobile game “Sea Hero Quest” and thereby contributed valuable data for research in the fight against Alzheimer’s. We are one of just a very few companies that are recognized internationally via their brand color. When the company was founded, we made a point of carefully selecting a magenta hue that would enable us to position ourselves, and our brand, uniquely within the information and telecommunications technology sector. One that would set us apart, as a modern services company, from our competition. 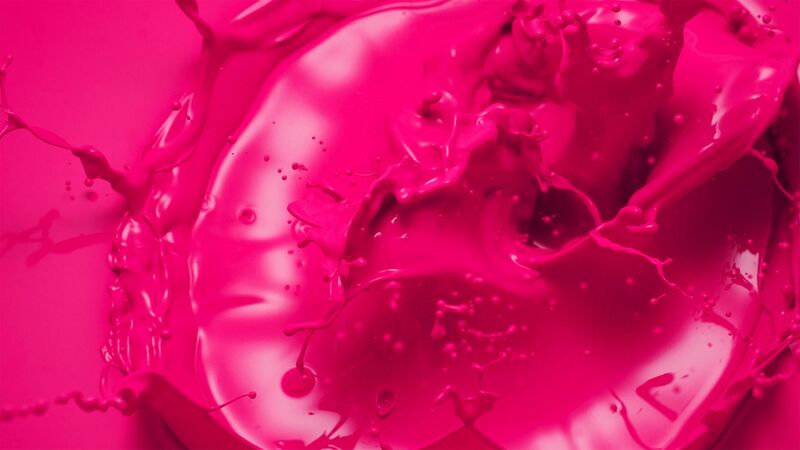 Today, our magenta is a registered trademark in the European Union, the U.S. and in a number of other countries. We continue to profit from its great recognizability. Our magenta functions as a unique recognition and differentiation feature. As a result, magenta also has a binding function; it links all of the national companies within the Deutsche Telekom Group. It also functions internally, boosting and enhancing our employees’ identification with our company. In our most recent surveys, four out of five employees have reported that they are proud of our brand. Many of them are also proud to show that pride – with products from our LoveMagenta.com line. The results of this careful and strict brand management have regularly given us rankings such as that bestowed on us by the company Brand Finance, which indicates that we have been Europe’s most valuable telecommunications brand since 2014. In its “Brand Z” rankings, Millward Brown has confirmed such assessments. That research firm sees us as Germany’s second most valuable brand, after SAP. And the latest "Brand Finance Global 500" ranking (dating from 2018) has Deutsche Telekom as Germany’s third most valuable brand, behind Mercedes-Benz and BMW. "Magenta is more than just a color"
Our claim is that you always have the best network.